"Antikyra is a Greek town located on the Gulf of Corinth. As a child, Kristof Guez used to spend his summer holidays there with his parents, and then he stopped going ; his parents got a divorce. However Antikyra has remained imprinted on him as the place of his first stirrings of emotion and his first fears, so much so that he feels as though he was born there and the Mediterranean sea was his cradle. In 2008 he went back there for the first time with his father. 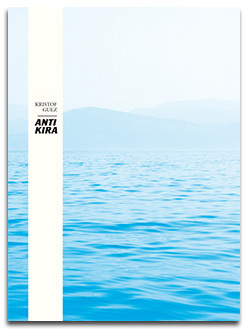 Photographing Antikyra to give substance to this idealized past once again."